The use of willow bark dates back thousands of years, to the time of Hippocrates (400 BC) when patients were advised to chew on the bark to reduce fever and inflammation. Willow bark has been used throughout the centuries in China and Europe, and continues to be used today for the treatment of pain (particularly low back pain and osteoarthritis), headache, and inflammatory conditions, such as bursitis and tendinitis. The bark of white willow contains salicin, which is a chemical similar to aspirin (acetylsalicylic acid). In combination with the herb’s powerful anti-inflammatory plant compounds (called flavonoids), salicin is thought to be responsible for the pain-relieving and anti-inflammatory effects of the herb. In fact, in the 1800s, salicin was used to develop aspirin. 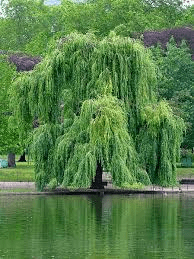 White willow appears to bring pain relief more slowly than aspirin, but its effects may last longer. bark sold in Europe and the United States usually includes a combination of the bark from white, purple, and crack willows. Willow bark is used to ease pain and reduce inflammation. Researchers believe that the chemical salicin, found in willow bark, is responsible for these effects. However, studies show several other components of willow bark, including plant chemicals called polyphenols and flavonoids, have antioxidant, fever reducing, antiseptic, and immune boosting properties. Some studies show willow is as effective as aspirin for reducing pain and inflammation (but not fever), and at a much lower dose. Scientists think that may be due to other compounds in the herb. More research is needed. Willow bark has been shown to relieve headaches. There is some evidence that it is less likely to cause gastrointestinal side effects than other pain relievers, such as ibuprofen (Advil) and other nonsteroidal anti-inflammatory drugs, do. However, studies have not shown this beyond all doubt, and people who are prone to stomach upset may want to avoid willow bark. Large-scale studies are needed to fully determine how safe and effective willow bark is for chronic or recurring headaches. Willow bark appears to be effective for back pain. In a well-designed study of nearly 200 people with low back pain, those who received willow bark experienced a significant improvement in pain compared to those who received placebo. People who received higher doses of willow bark (240 mg salicin) had more significant pain relief than those who received low doses (120 mg salicin). Several studies show that willow is more effective at reducing pain from osteoarthritis than placebo. In a small study of people with osteoarthritis of the neck or lower back, those who received willow bark experienced significant improvement in symptoms compared to those who received placebo. A similar study of 78 patients hospitalized with osteoarthritis of the knee or hip joint found that patients who received willow bark had significant pain relief compared to those who received placebo. Because of the danger of developing Reye syndrome (a rare but serious illness associated with the use of aspirin in children), children under the age of 16 should not take willow bark. Dried herb (used to make tea): boil 1 – 2 tsp of dried bark in 8 oz of water and simmer for 10 – 15 minutes; let steep for ½ hour; drink 3 – 4 cups daily. Powdered herb (available in capsules) or liquid: 60 – 240 mg of standardized salicin per day; talk to your doctor before taking a higher dose. Tincture (1:5, 30% alcohol): 4 – 6 mL 3 times per day. Because willow bark contains salicin, people who are allergic or sensitive to salicylates (such as aspirin) should not use willow bark. Some researchers suggest that people with asthma, diabetes, gout, gastritis, hemophilia, and stomach ulcers should also avoid willow bark. If you have any of these conditions, take nonsteroidal anti-inflammatory drugs (NSAIDs) regularly, or blood-thinning medication, ask your health care provider before taking willow bark. Children under the age of 16 should not take willow bark. Side effects tend to be mild. However, stomach upset, ulcers, nausea, vomiting, and stomach bleeding are potential side effects of all compounds containing salicylates. Overdoses of willow bark may cause skin rash, stomach inflammation/irritation, nausea, vomiting, kidney inflammation, and tinnitus (ringing in the ears). ← Keeping the psychic mind and body clear.